The Republic of Ireland occupies most of the island of Ireland, off the coast of England and Wales. Dublin is the capital of Ireland, in fact, it is the birthplace of writers like Oscar Wilde, and home of Guinness beer. The 9th-century Book of Kells and other illustrated manuscripts are displayed in Dublin's Trinity College Library. Dubbed the "Emerald Isle" for its lush landscape, the nation is dotted with castles like medieval Cahir Castle. There are seven Irish public universities ranked within the world's top 700 in the QS World University Rankings® 2016/17. Ireland is known as Eire in Irish and is also known as the Republic of Ireland. Ireland covers five-sixths of the island of the same name, the rest of the|the} one-sixth of the island is Northern Ireland, which is part of the United Kingdom. The first official language of the country is Irish, or Irish Gaelic but English which is second official language is widely spoken in the country. The total area of the Republic of Ireland is 84,421 square kilometres with a population of 4.75 million people as of July 2013. Many multinational technology corporations have their European headquarters in Ireland. Ireland is the home of world famous Guinness beer which originated in the Dublin brewery of Arthur Guinness. The traditional sports of Ireland are Gaelic football and hurling and remain the most popular sports in the country. Ireland was the first country in the world to introduce an environmental tax on plastic shopping bags and the first to ban public smoking. Ireland is an English-speaking country. Higher education institutions in Ireland are higher are well recognised for excellence in many disciplines. Ireland is recognised as an international location for high-quality scientific research. The beautiful landscape of Ireland and its people are among the major attractive reasons to study in Ireland. The people of Ireland are known to be friendly and hospitable which helps international students to easily adapt to life in Ireland. The cultural heritage of Ireland is rich cultural its own distinctive language (Gaelic) music, culture, and sports. 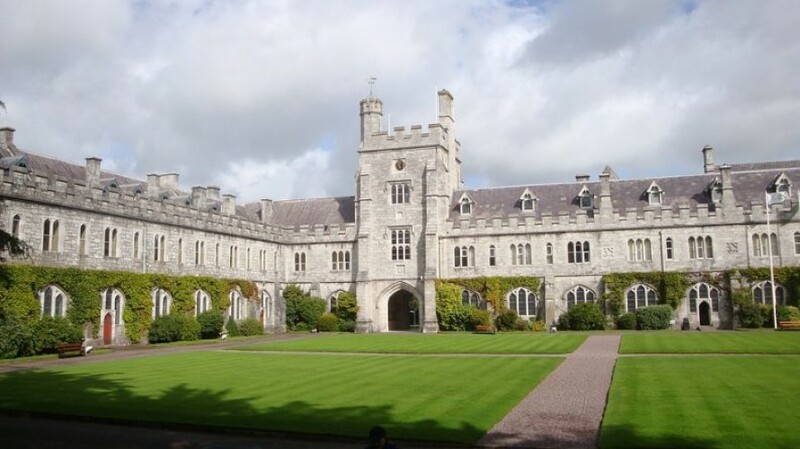 The main intake which is offered by Colleges and University in Ireland is September but some Universities offer February Intake also. Obtain the Leaving Certificate Examination by attending secondary school in Ireland with Irish students. Write public examinations that are well recognised in their own country. This is a common way and it is very important that each applicant verifies that the educational qualifications he or she is presenting are able to satisfy entry requirements. International students also need to prove their proficiency in English. TOEFL well is accepted in Ireland. A student can apply to the Central Applications Office or directly to institutions of their choice for Undergraduate Programmes.